For many people, summer on Prince Edward Island just wouldn't be the same without a day digging clams followed by a clambake, or a feed of fresh clams. Prince Edward Aqua Farms respects this age old tradition, and is proud to offer juicy, succulent clams as fresh as if they were just dug from the shores of our Island. Clams harvestd by local clam fishers are gathered and delivered for Prince Edward Aqua Farmswhere they are cleaned, tested, graded, and packed for shipment across North America. 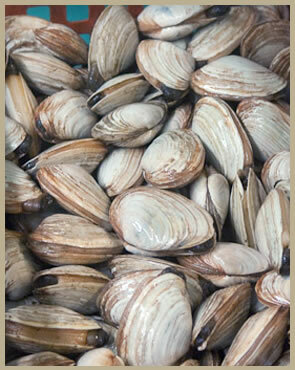 Local Island clams are a soft-shell clam, or steamer (Mya arenaria) which is one of the most popular eating clams. They can be prepared in a variety of ways including steaming, roasting, baking or for use in chowders. Try one of our clam recipes! 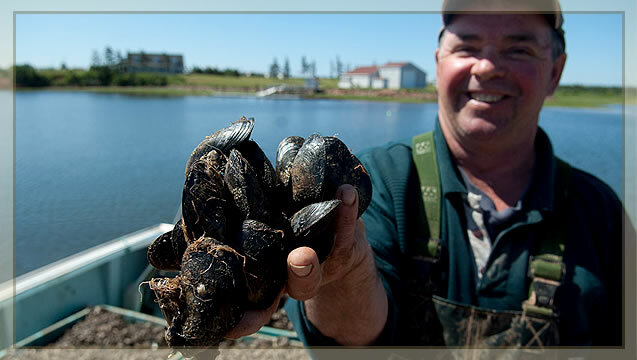 In our continued effort for quality assurance, Prince Edward Aqua Farms' PEI Clams go through an ongoing and rigorous controlled depuration (purification) process. In our depuration facility, our soft shell clams are held in specialized tanks of clean seawater under conditions which maximize the natural filtering activity. This effectively reduces the risk for certain contaminants being present. This unique purification process is internationally recognized, and Prince Edward Aqua Farms must re-certify to maintain this high level of environmental certification. Most importantly, this additional purification step helps provide our valued customers a safe and excellent quality product.